In efforts to raise money for annual maintenance and expansion of the Grounds of Remembrance, donations are accepted in any monetary form. There are also categories of donations including: Major Gifts, Community Fundraising, Patron’s Sycamore Grove and Gifts of the Heart. 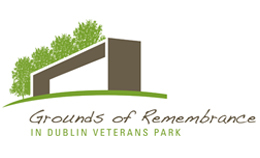 If you would like to donate to the Grounds of Remembrance at Dublin Veterans Park, please call the Department of Community Relations at 614.410.4450. Thank you to the following for their gifts of $15,000 or more. These Patrons have purchased one of the 25 Sycamore grove tress, including a plaque. Ruscilli Real Estate Services, Inc.